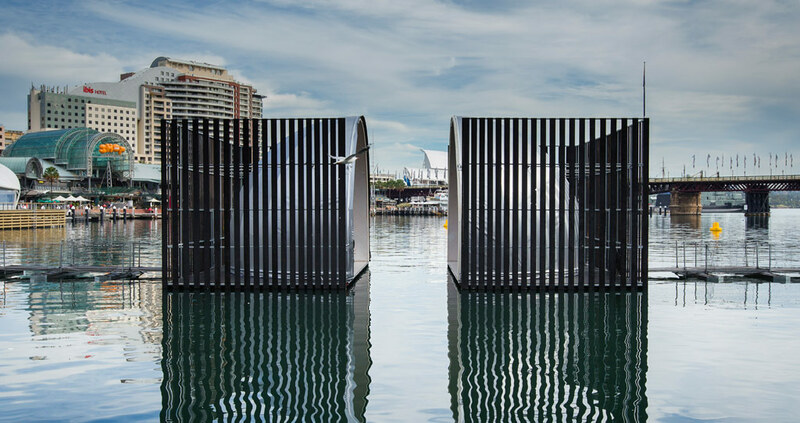 Nomanslanding is a major public artwork by five international artists, Robyn Backen, Andre Dekker (+ Observatorium), Graham Eatough, Nigel Helyer and Jennifer Turpin. The project was instigated by co-curators from Australia, Germany and Scotland who asked the question: how do we create site responsive work that is both grounded in place and able to tour? They proposed a new model of collaborative gestation which aligned the various settings for Nomanslanding with specific themes for the work prior to commissioning. 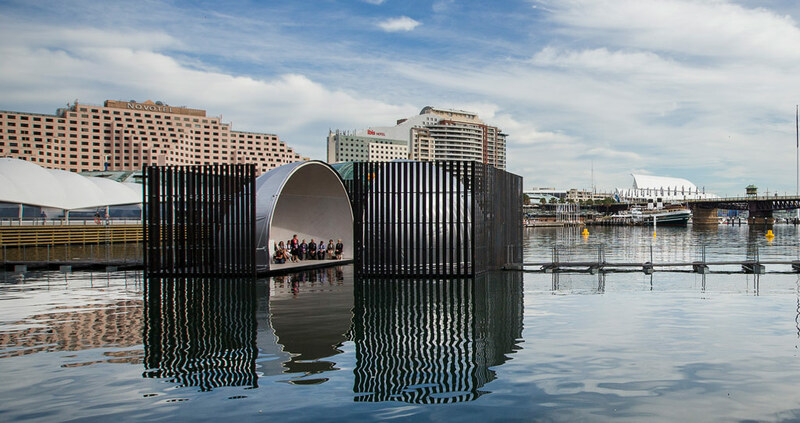 The result is a large-scale public artwork designed to float in different waterways. 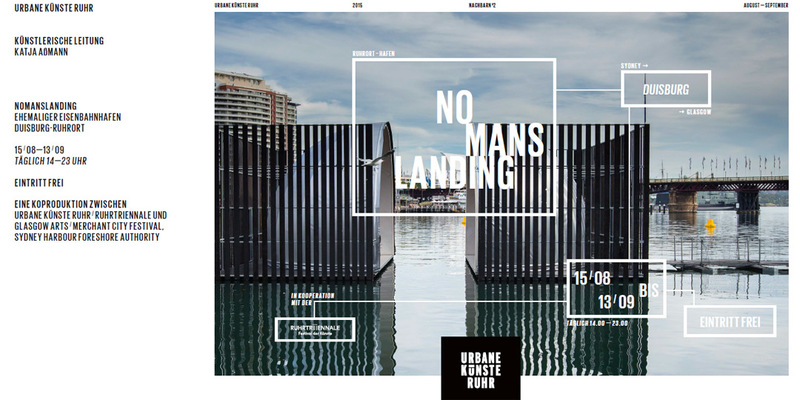 The current tour of Nomanslanding takes in three sites with shared industrial and military heritage —the River Clyde in Glasgow, the former Eisenbahnhafen at Duisberg Ruhrort in Germany and Darling Harbour in Sydney, Australia. 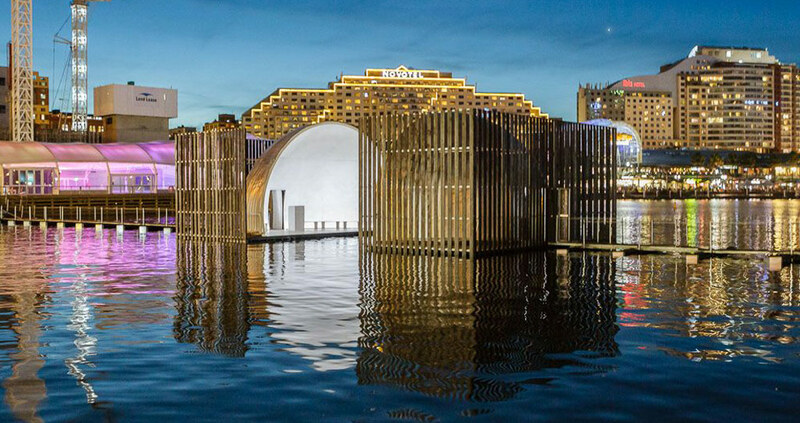 Nomanslanding had its world premiere in Sydney in April 2015 and is currently touring Europe and conversations are underway with prospective presenting partners. Contact us here for more details. 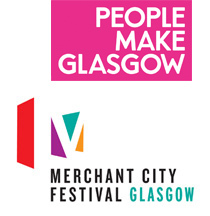 This project is a co-production between Glasgow Life / Merchant City Festival, Sydney Harbour Foreshore Authority and Urbane Künste Ruhr .